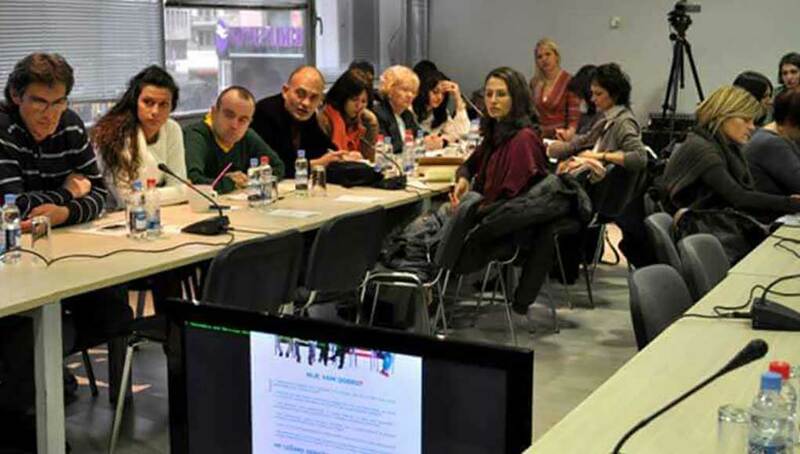 The second roundtable “Together for patients’ rights” was organized by Law Scanner on 5th of December in Media Center in Belgrade. It is a part of activities of the project “Patients’ Rights – State Responsibility”, where the main goal is advocacy on the adoption of the Law on the Protection of Patients’ Rights. On the second roundtable, beside representatives of civil society organizations and independent institutions, representatives of the state also took part (Ministry of Health, municipal assemblies, City Secretariat for Health Care). Through moderation of Law Scanner team, Marina Mijatovic and Tamara Magdelinic, they exchanged their opinions, suggestions and proposals on the significance of adoption the Law on the Protection of Patients’ Rights. The purpose of held roundtables was to include all interested social groups in a process of adoption the new Law on the Protection of Patients’ Rights. In that way, given proposals will be compiled in a form of conclusion in order to of improve the system of protection of patients’ rights. Conclusions from the roundtables „How to treat ailments of the system“ and “Together for patients’ rights” will be delivered to Ministry of Health and National Assembly as relevant state bodies.